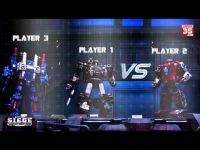 Autobase Aichi has brought our attention to an impressive Transformers: War For Cybertron Official Stop-Motion Promotional Video By Hasbro Taiwan. 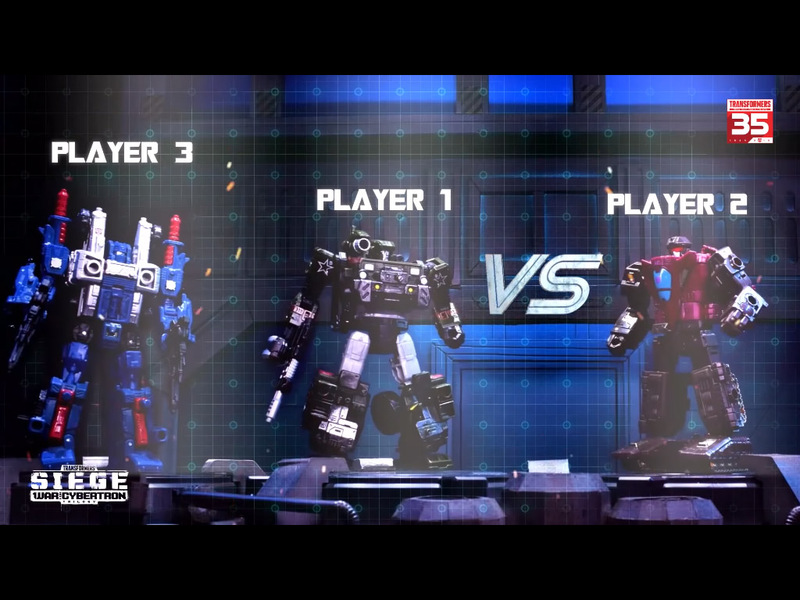 The video titled “Transformer WFC Siege Fight Episode 1” (we should expect more videos in the future) features the new War For Cybertron Siege toys: Hound, Cog, Skytread (Flywheels) and Starscream in an intense (and fun) battle. Tons of shots, explosions and a great demonstration of the Siege Weaponizer system. Check the video below and then sound off on the 2005 Boards! Update: Part 2 featuring Siege Shockwave and Ultra Magnus is up. Heck i know that at the end of the day this stuff is just more marketing, but gooDNESS ME IF IT AINT WORKING. Im so tempted to pick up a Magnus soon here, we'll see if i have any money left after the convention this weekend. Wow! These are amazing! There's something so compelling about stop motion animation, especially when it's so well done like this. These were dope. Really well done. I can see counter656 did these. Dude’s craft is incredible. The suspense in these vids would be better if the Con's actually won some of these fights. But oh well. because these are made in an area where bad guys don’t sell very well so of course the good guys would win. That made me want a shockwave with all that armor. When Ultra Magnus ran I had to laugh. Looked like he had some issues. OH FOR F***'S SAKE!!! New Transformers fighting game! Why has this not happened yet?!?!? Hmmm, Shockers is mistransformed in his spaceship mode at the start of the fight sequence. Versions of Ultra Magnus have beaten Galvatron twice, battered Megatron, stopped Grimlock, knocked out Slag and Sludge, twice badly wounded Scorponok, defeated Menasor…….So Ultra Magnus is perfectly capable of beating Shockwave. Yeah UM is 2nd only to Optimus IMO but the battle in question should've still been closer. So if the wins by the Autobots continue to be as one sided as this one (the first one was far more entertaining) then I'm skipping them moving forward. Why do the Decepticons always lose? Exactly! Why is it even a 5 million year old war if fights are this easy…? Wooooah. This was friggin' awesome. Well-executed stop motion animation like this never fails to get me hyped! (Seriously, who doesn't want to see their toys "come to life" and fight each other!?) It's a shame that these promotional videos don't get the attention they deserve – this technique is extremely time consuming, and the production team's enthusiasm (and patience!) is clearly evident. I had a feeling this wasn't going to end in his favour; I mean, the toy already divides into two halves, so he's kind of tailor-made for a "bifurcation-related death scenario". Do we know the ones that are in charge of these animations? Couse they are making an incredible job man. Posted this a few posts back lol. It's just one guy from Taiwan. Glad to see that Hasbro has given him more work to do. Some of you might remember him as the guy to did all those Gundams vs Transformers vs Figmas a long time ago. 1. There is no way it hell Ultra Magnus can beat Shockwave 1 on 1. 2. There is no way in hell Shockwave can be knocked out by a thin metal sign. 3. The "good" guys always have to win no matter how stupid & unbelievable their way of winning is. Which is the exact opposite of how it works in real life. This was totally insulting to any Shockwave fans. A complete disgrace. No well in the hell? 2. Toon G1 Shockwave was never portrayed as strong and was taken out by Starscream. Taking it a tad too serious aren’t we? Agreed, especially when this is only toys ads. This would be a great way to animate a transformers series , video game or movie …. reminds me of the Lego Movie but with a little more violence .